Our product range includes a wide range of aloe vera hair gel and natural hair cleanser (aloe vera shampoo). We are one of the renowned companies in the manufacturing, supplying and exporting of Aloe Vera Hair Gel. 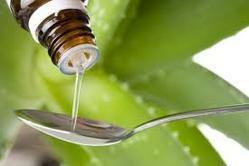 Our product is one of the best herbal products and it contains the pure extract of aloe vera ingredients. These products are very effective in nature, provide nourishment to hair and reduce hair falling while acting as cleansing agents. Being one of the most eminent manufactures, suppliers and Exporters of Natural Hair Cleanser (Aloe Vera Shampoo), we offer the best quality approved product to our clients. These products are made by using pure and natural extracts of aloe vera, which works as a hair cleanser and makes the hair smooth, silky and strong. These product has no side effect and also effective in treating problems like dandruff and hair fall. Looking for Ayurvedic Hair Care Products ?